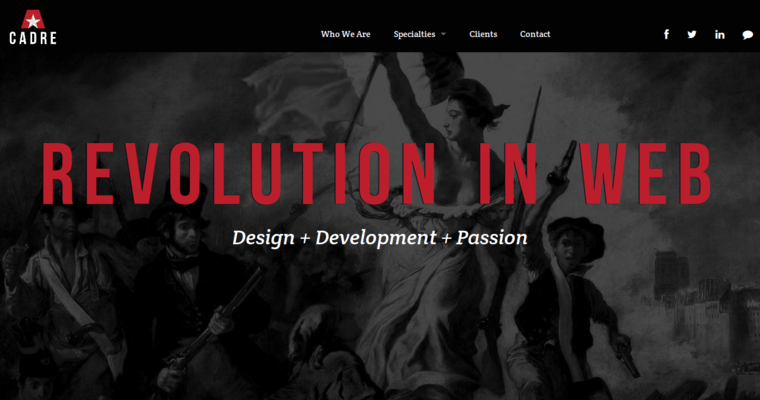 Cadre is a web design firm that provides clients with a plethora of unique web design, development, and marketing services to help them excel in the world of the internet. In recognizing that building a distinct image for a company will play an integral role in facilitating its success, Cadre specializes in employing branding strategies such as the creation of a clear, consistent image for a business and its products or services. 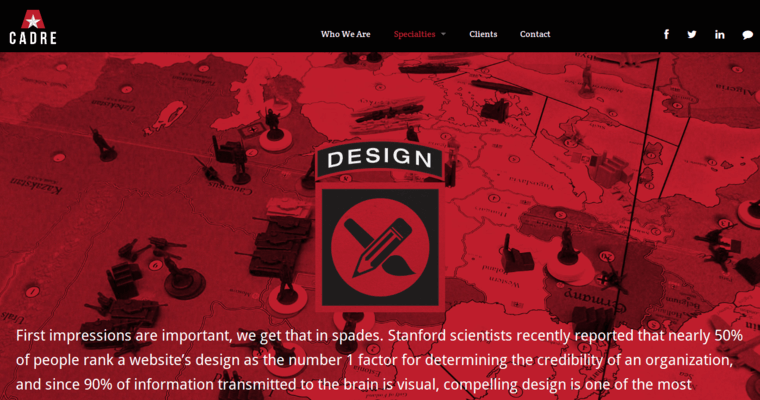 Additionally, Cadre makes use of web design strategies to ensure that the client's website is as functional and aesthetically appealing as possible. Cadre also employs a staff of trained professionals who will use proven internet marketing strategies such as SEO and SMO to ensure that the client's website attains a competitive ranking in the search engine results pages. 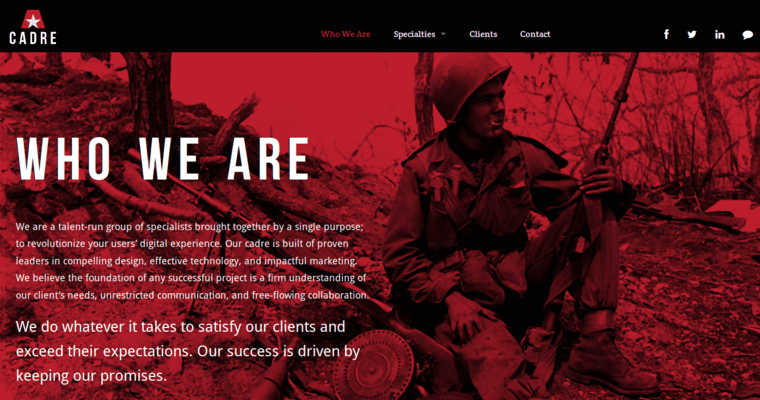 At Cadre, primacy is placed upon developing a distinct, customized web design and internet marketing strategy to ensure that the unique needs of the client are met.